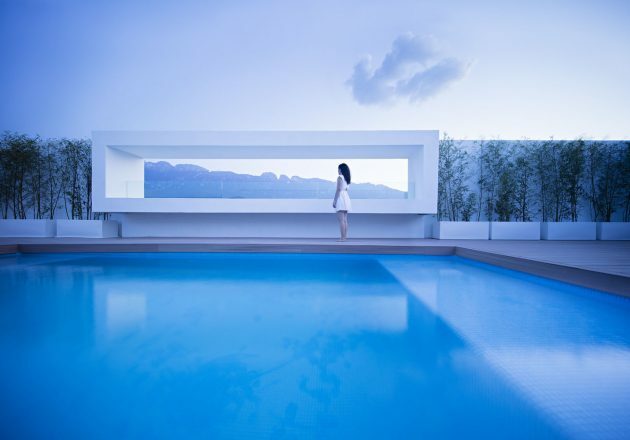 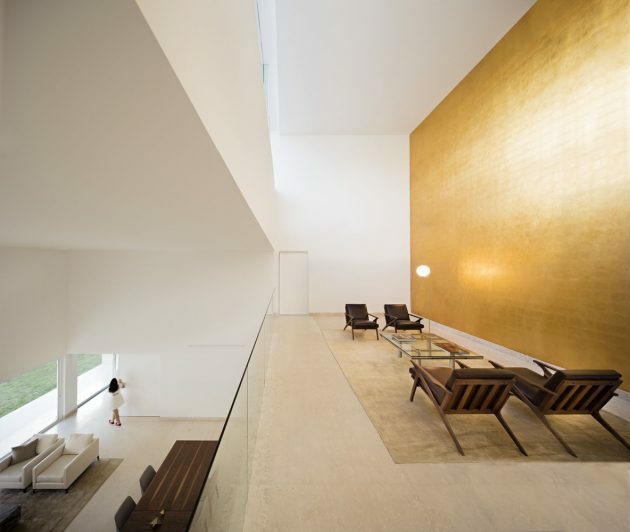 Domus Aurea (Latin for Golden House) is a minimalist modern home located in Monterrey, Mexico. 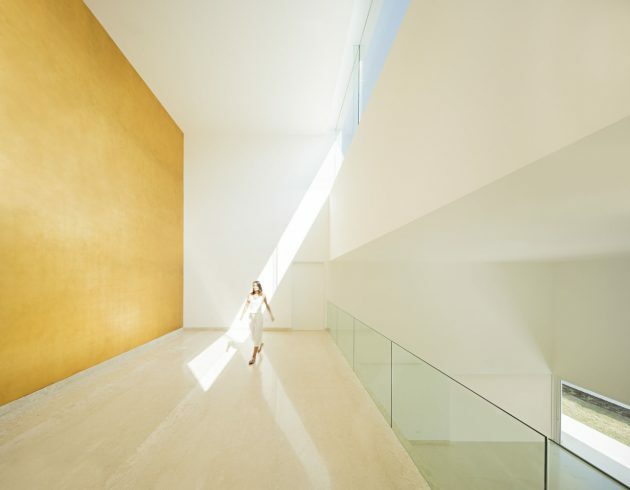 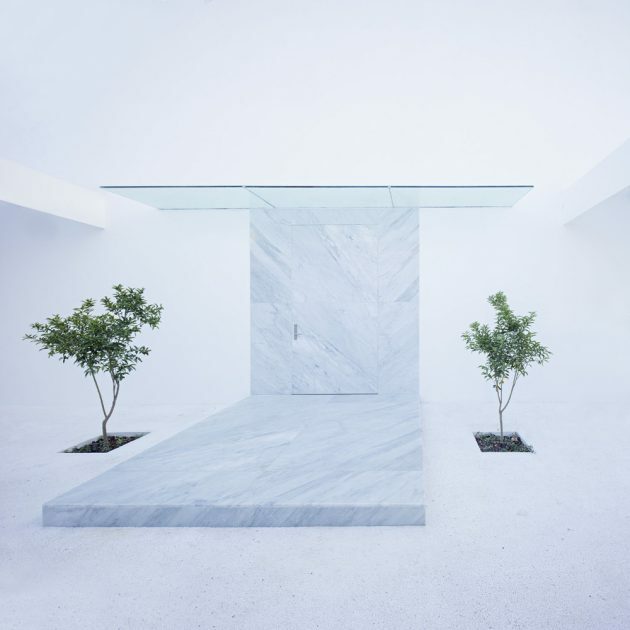 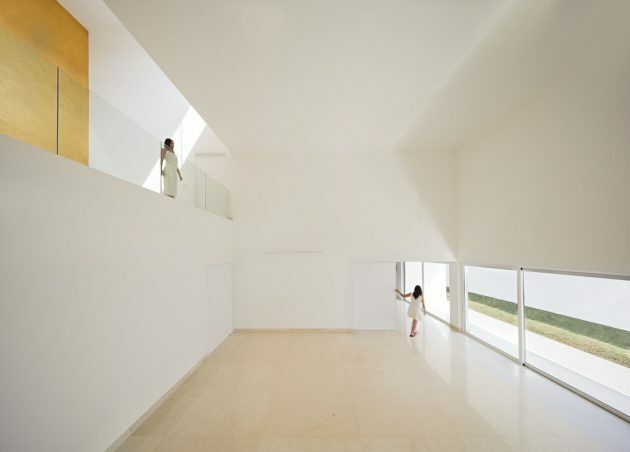 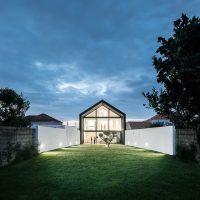 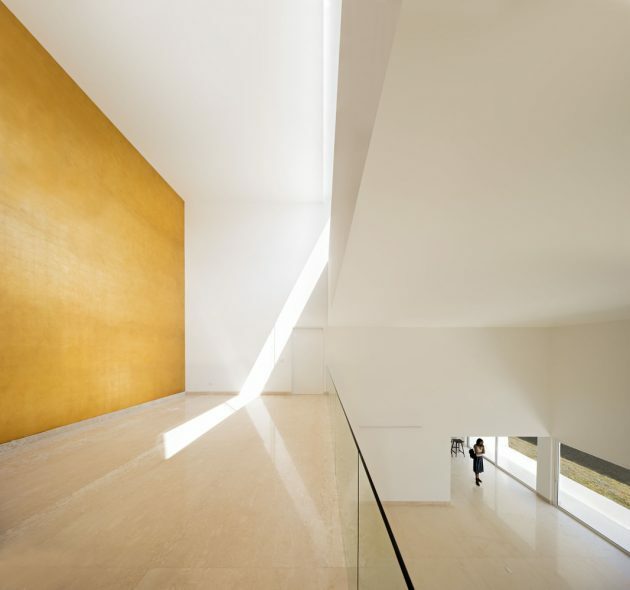 Its stark white surfaces obstructed by a golden wall that lights the interior of the home is a design that belongs to the Spanish architect Alberto Campo Baeza along with the local firm GLR Arquitectos. 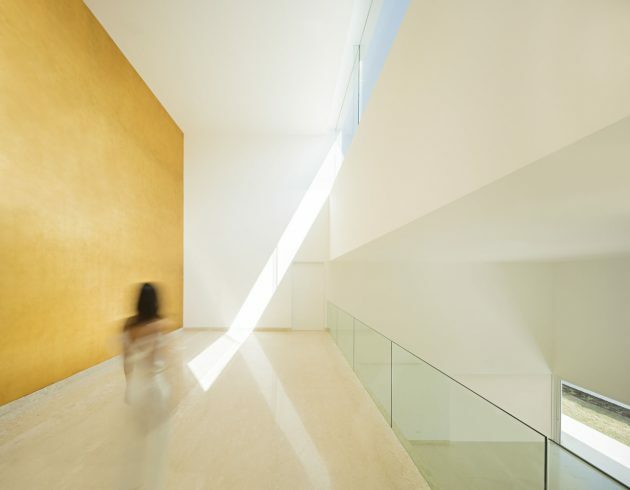 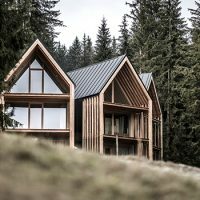 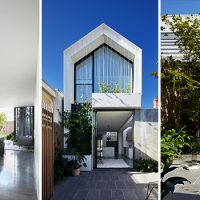 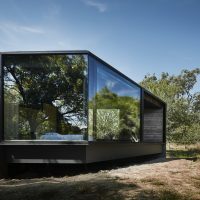 The blank facades of this home hideaway a double-height wall covered in gold leaf, oriented to reflect light from the south that comes inside through a tall window even though there are no visible windows to the street. 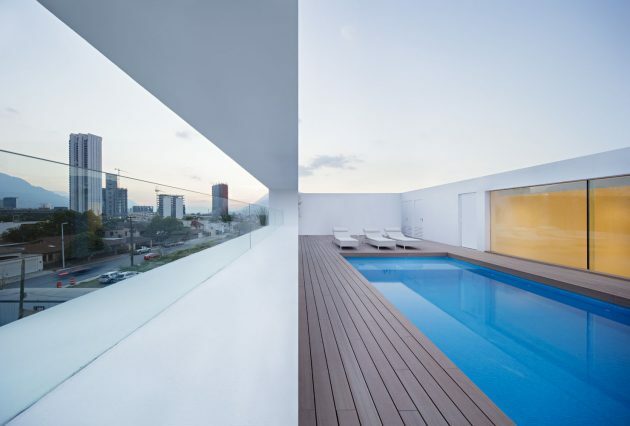 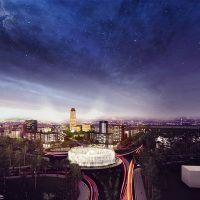 From the architects: “Placed in one of the most exclusive and privileged zones of Monterrey with an incomparable view towards the “Sierra Madre Oriental”, we found the “Sorteo Tec’s House 202”.